The New Communism meticulously outlines the revolutionary changes that America needs. The New Communism: The Science, the Strategy, the Leadership for an Actual Revolution, and a Radically New Society on the Road to Real Emancipation by Bob Avakian presents a new vision for America. As the subtitle suggests, the book is packed with promise and the detail to back it up. First Avakian presents the problem: Americans have fallen prey to deceit, from society and ourselves. Next, he details his scientific approach to communism, giving insight into his thought process and key ideas like consumerism. Then he discusses the link between socialism and communism, and how leveraging both ideologies can bring freedom to humanity. Finally, he details how a full scale revolution could take place, as well as the leadership that’s needed to see real change—the crux of long-term transformation. Avakian believes change is possible for the United States, and his optimism is compelling, especially since there are so many barriers to the large scale change he describes. His optimism is backed with general historical and social understanding, as well as detailed political thought—all of which he methodically conveys to prove that what he describes is more than just a nice idea. His attention to detail and his long history of study also demonstrate that determination is essential for such a level of change on a national level. 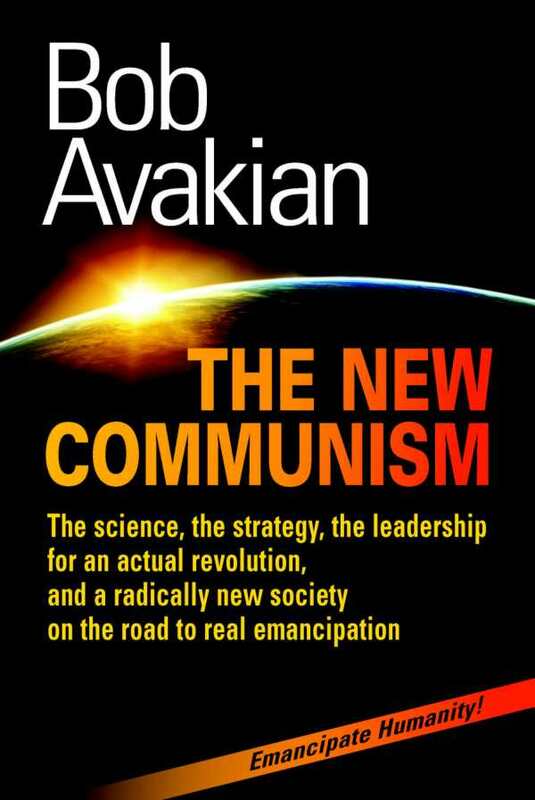 Avakian is a critical thinker and is the founding chairman of the Revolutionary Communist Party, USA since 1975. His focus is solely on his communist ideas, and he doesn’t spend much time on other lines of thinking, except to point out the ways that popular thinking has failed the United States. The tone is serious and focused, with some conversational elements, like an instructor teaching a class. The study and discussion section continues this didactic feel and allows the audience to delve deeper, either on their own or with a group. those most bitterly oppressed, have been rising up—refusing to take the brutality and murder to which they are continually subjected, particularly by the police, acting as the enforcers of this system of oppression. But some in the throes of the present revolution will find Avakian’s approach too distant, even while its promise is compelling. His book is a good fit for educated Americans who are interested in communism but who want to see the deep thought and practicality behind the idealism that often characterizes discussions of this political ideology. The New Communism meticulously outlines the big change America needs.